Among the stories emerging in a busy latter half of the week is a victory by dozens of the Netherlands’ most prominent online poker players in a taxation case involving perhaps tens of millions of dollars earned by the pros in recent years on PokerStars.eu, the Stars site serving most of Europe and the world at large. In a decision reported on by prominent Dutch news outlet Algemeen Dagblad, a Dutch appellate court has ruled that between 75 and 100 of the Netherlands’ most elite online pros will not be subject to a 29% surcharge on profits earned outside the European Union. The case involved many of the Netherlands’ “biggest names”, according to Dutch attorney Pepijn Le Heux, who represents the player group. Le Heux also posted a link to the official ruling in the case, even though it’s not quite final: Either side — and in particular the Netherlands Tax Authority, which came out on the wrong end of this ruling — can seek a “cassation” (higher appeal to the Dutch Supreme Court) in the matter. The ruling was rendered on New Year’s Day by the Hertogenbosch (Den Bosch) Court of Appeals, and the Dutch taxmen have six weeks from that date to file an appeal. The case hinged on the proper “legal” location of PokerStars, as it pertained the services provided to Dutch players. Dutch tax authorities maintained that since PokerStars parent Rational Group is incorporated in and has its primary headquarters in the Isle of Man, an autonomous British territory that is not part of the EU, the players were subject to the 29% surchage. 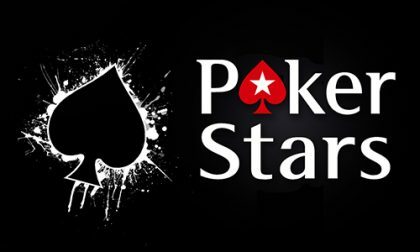 The players and PokerStars maintained that the pokerstars.eu site is largely operated through the site’s Malta division; since Malta is part of the EU, the 29% rate shouldn’t then be applied. 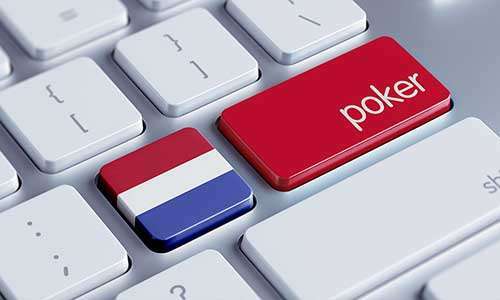 In the ruling, the Den Bosch court admitted relying heavily on testimony and documentation supplied by PokerStars and Rational Group illustrating that the services to the Dutch pros on pokerstars.eu originated from Malta, rather than the Isle of Man. In particular, pokerstars.eu, the actual gaming site, is operated by Rational Gaming Europe Limited (RGEL), which is based in Malta. The first time a player registers via PokerStars.eu he must approve the agreement with RGEL and download the necessary software. The website on which this notification takes place is hosted in the United Kingdom. Then the player deposits an amount on his player account. On the basis of the Maltese Remote Gaming Regulations, these monies must be kept separate from the other business assets in a third-party account. According to the second memo from Rational Group, the player’s funds are held in a separate trust, divided over bank accounts in different jurisdictions. The Inspector states that the funds are managed by Worldwide Independent Trust Ltd., located on Isle of Man. The RGEL must inform the Malta Gaming Authority each month about the status of the player’s funds. The moment a player wants to participate in poker game, he logs in via the (previously downloaded) software. This connects to a dispatcher on Malta, a server that controls the communication between the player, the random number generator and the poker lobby on Isle of Man. Players come together worldwide in the poker lobby. The player chooses a game in the poker lobby and the player funds are transferred by RGEL from the third party account to the player table. After the game has ended, any funds will be transferred to the third party account via RGEL. If a player cancels his account, RGEL will ensure payment of the balances on the player’s account. In case of questions and / or complaints, a player can in principle turn to customer support, which is located in different places. In case of escalation, a complaint can be handled by a team on Isle of Man or in the United Kingdom or a complaint can be submitted to the Malta Gaming Authority. If an account is not used for a longer period of time, credits will go to the Malta Gaming Authority if no contact is possible with the holder of the account. One of the aspects of the game, which has remained unclear, is the place where the random number generator, a random generator that determines the cards at random, stands. The second memo from Rational Group states that the random number generator, which is used worldwide except for the United States, is in Malta. The test reports submitted by the parties, including the RGEL test report which, according to the interested party, refers to RGEL’s random number generator, however, relate to a random number generator of RSL, located on the Isle of Man. In view of this, for the question of who the holder and thus organizer of this online poker game is, should be connected to the initiator. This concerns the person who has taken on the organization to make the game possible for the Dutch players and ensures that the game can be played. Although the poker lobby is Isle of Man and the ultimate holder of the intellectual property is established there, it is plausible that RGEL took on the actual organization of the game for the Dutch players in its own name and on its own responsibility. RGEL has used the (sub) license of RNL to organize the game for Dutch players and has implemented it. RGEL is not just the organizer from the point of view of the player, because he has concluded the agreement with RGEL, RGEL manages his money and he has to call RGEL if he wants to withdraw his credit. The Maltese legislation, the conditions for granting the license and the supervision thereof also point in this direction. However, the Court attaches particular importance to the explanations given in the first and second memo of the Rational Group, which give the impression that an independent organization exists in Malta, which does not merely carry out preparatory or supporting work. This does not alter the fact that RG, as the PokerStars headquarters on the Isle of Man, will also make a number of policy-making decisions. This is inherent to an (international) group structure with a holding company as head office and underlying holding and operating companies. The Netherlands Tax Authority commented only to the extent of the agency continuing to study the appellate decision as it faces the February 11 cassation deadline.